EU ▼ 2013-05-30 €? ? 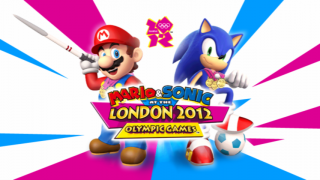 Mario & Sonic at the London 2012 Olympic Games (マリオ&ソニック AT ロンドンオリンピック) is the third title in the Olympic Games series, built by Nintendo and Sega under license from the International Olympic Committee (to correspond with the 2012 London Olympics). The game itself features the hosting city of the games, London. Like their previous installments, Mario & Sonic at the London 2012 Olympic Games was developed and released for both the Wii and Nintendo 3DS. Each version has its own exclusive modes. This page was last edited on 10 April 2019, at 13:02.